I couldn’t imagine having another child until I had processed all of my feelings and unanswered questions about Leo’s birth. When Leo was about three I got my notes from the hospital and paid an independent midwife to go through them with me. The process was incredibly healing and answered heaps of questions. I felt ready to have another baby and learn whatever I needed to learn this time around with an open heart. Around this time I asked Leo if he remembered being born and he said that he remembered having a sore neck. This is amazing because I don’t think we ever told him much about his birth, but his head was on a funny angle after he was born. Children are amazing. Hubby: get the bath ready! Clem was born at home. We had a wonderful independent midwife who I saw for the duration of my pregnancy, the birth, and the first six weeks after he was born. It was amazing to have the continuity of care. We weren’t planning for Leo to be present at the birth, but it all unfolded so fast (the whole birth was about one and half hours) that my Mum, who was his support person, wasn’t there in time to hang out with him. Leo had predicted that the baby would be born on that Sunday in the afternoon (kids are amazing) and as it turned out he was the only other person in the room when Clem was born! (Jeff was getting more hot water for the birth pool and our midwife, doula and my Mum were all in transit.) Our midwife arrived just after Clem’s head had been born and helped us with his cord. Such perfect timing. 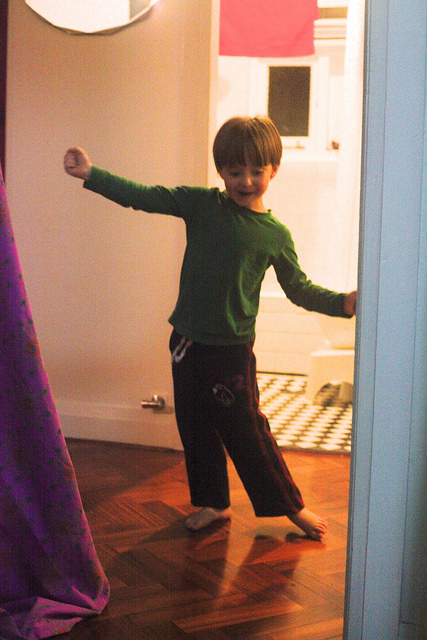 Leo did a dance of joy after Clem was born that I will never forget. It was like a tribal dance. Clem is really into rhythm and music and I feel like Leo was channeling Clem’s essence in that moment. Gives me goosebumps to think about it! 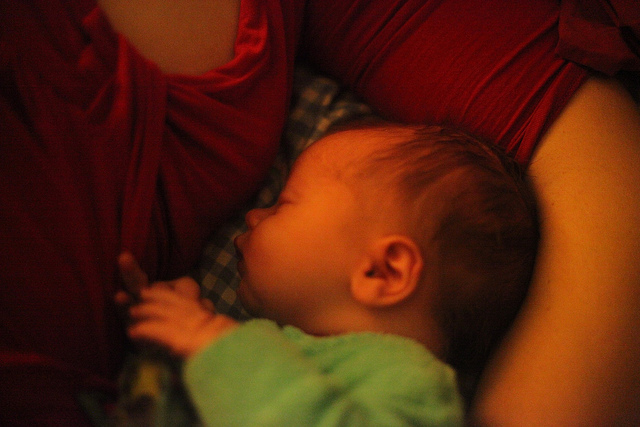 The whole birth was an incredibly peaceful and powerful experience. I felt fully in touch with what I was capable of, and the power of our love as a family. I thought that if I had an untraumatic birth second time around that I may not have the same breastfeeding and mental health challenges that I had with Leo, but this wasn’t to be. We had the same breastfeeding challenges (Insufficient Glandular tissue and the need to supplement Clem with formula from three days old), and I had what was confirmed as mild postnatal psychosis again. I know for sure though that the way that our whole family responded to everything that unfolded was greatly aided by having a peaceful, private, loving, connected birth experience. Big love and hope for healing to any Mamas out there with trauma surrounding their birth experiences.